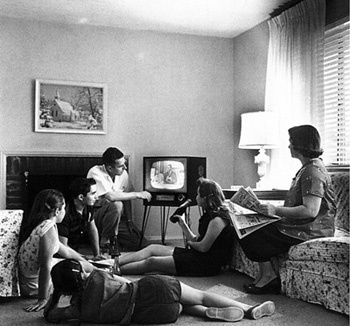 Sometimes watching television with your kids can be a bit of a daunting task. You might be sick of reruns of Scorpion Island or The Tribe on ABC 3, or the programs you want to watch might be a bit too inappropriate at times for the kids. Watching television as a family can still be a good way to spend some time with the kids, so here are some programs that you might enjoy watching together. This is the longest running sci-fi show of all time, but in 2005 the series got a major facelift. This show had always had a long history as a family show, and it is no different these days. There are scary parts, and some high action party, but at the end of the day the Doctor is a guy who doesn't like violence and hates guns. It is a fun show that parents and kids will both enjoy, and if you're feeling dedicated you can even start as far back as the original Doctor in 1963. One of the ABC's newest programs, this six part series is a very funny look at the unbelievable that will interest and entertain the whole family. 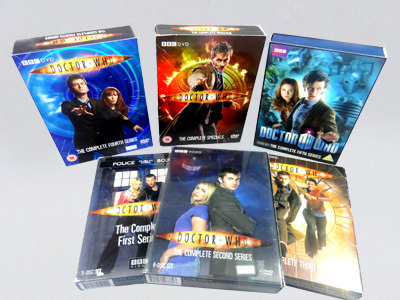 It is finishing up on the ABC soon, but the DVDs won't be too far off. Lawrence investigates things like psychics, aliens, and magicians. Your kids will be excited by the content, and you'll laugh at the comedy. Some jokes may fly over your kids heads, but there is nothing that is too inappropriate. This is perhaps one of the funniest shows around for anyone that has young children. It follows the lives of a family of 5, and its main stars are 7 year old Karen, 9 year old Ben and 13 year old Jake. It is filled with all of those hilarious moments that children have, whilst feeling scarily real. The episodes are short so you don't have to dedicate too much time to it. As parents you'll laugh recognising all the quirks that your own children have too, and kids will laugh as they recognise their siblings or simply agree with the actions of the young stars. You wont come across anything in this show that you wouldn't find in every day life. This show follows the lives for four socially awkward scientists, so naturally they aren't getting up to too much 'adult' stuff. There are some great jokes in this show for kids and adults, especially those who are interested in 'geeky' things. There are still some sexual references in the show, but nothing too overt. You may want to check this out before watching it with younger children, but overall it is a pretty family friendly show. The main draw-card of this show is Sheldon, and he is someone that people of all ages love. Dad may disagree that this is a show for the whole family watch, and while this show may not be on everyone's list it is still one that both adults and kids can enjoy. The musical numbers make this a really accessible show, so anyone interested in pop music or musicals will at least get some enjoyment from this show. 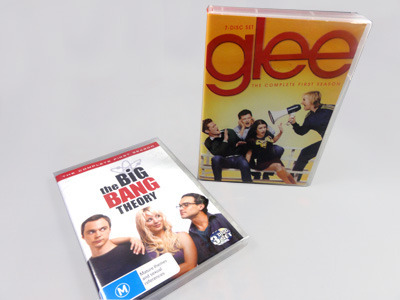 The series centres around a high-school, and while there may be some relationships that are a bit advanced for younger children, don't let the GQ shoot fool you because Glee is still a pretty tame show. There are still some sexual references, so its best to make a decision based on your kids maturity level first. So watching television with the kids doesn't have to be hard, there are some great programs that you all can enjoy. Are there any other programs that you could recommend for the whole family?